Carry this lovely feng shui Sum of Ten Enhancer Amulet to greatly strengthen your sum-of-ten luck, which helps all bring success, good fortune, and luck through the year ! The colorful amulet will help motivate your goals, strengthen your resolve and increase concentration to lead everyone to success and greatness. The Sum of Ten Enhancer Amulet itself is approx. 2.25" in diameter. 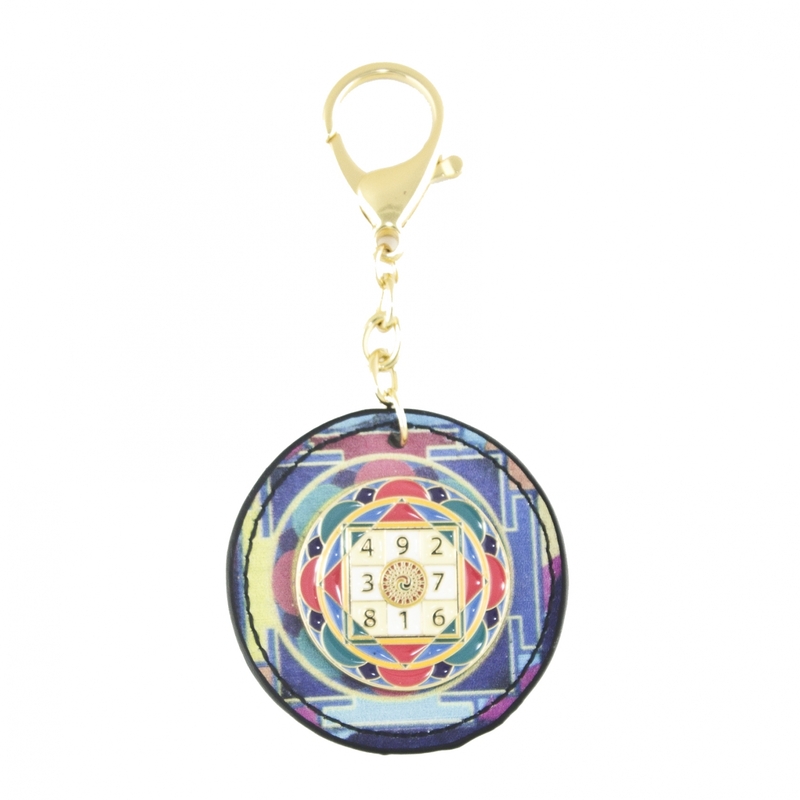 The overall length of the Feng Shui Sum of Ten Enhancer Amulet Keychain is approx. 4.5". It is made of metal.